Washington, DC – Women in Cable Telecommunications (WICT) has announced its 2018 chapter award recipients as well as the esteemed volunteer leaders who will serve as the 2019 Chapter Presidents and Chapter Advisors. The WICT chapter awards measure important aspects of the Model Chapter Business Plan (MCBP), and chapters earn points for performance that meets or exceeds guidelines laid out in the MCBP. WICT presents the Chapter of the Year award to the top performing chapter(s) as measured by MCBP scores in areas such as programming, marketing and communications, governance and membership. For 2018, the WICT Midwest Chapter earned the most possible points and received the Chapter of the Year award. WICT also recognized the Chapter President of the Year, WICT Florida’s Leah Brown, Director, Government & Community Strategy, Charter Communications; and the Chapter Advisor of the Year, Keely Buchanan, Senior Manager, Employee Experience, Charter Communications, who supported the WICT Rocky Mountain Chapter. WICT Chapter Leader of the Year was presented to Christine Rodocker, Vice President, Distribution & Consumer Marketing, INSP, who served as the Vice President for WICT Carolinas. WICT Chapter Volunteer of the Year, awarded to an individual who has shown exemplary volunteer support of WICT, was presented to Sandy Weicher, Vice President Customer Care, Comcast, whose efforts supported the WICT New England Chapter. WICT Most Improved Chapter for chapter growth and development from the previous year, was presented to the WICT Greater Ohio Chapter. WICT Best Chapter Programming of the Year was presented to WICT Great Lakes for first place, Greater Pittsburgh for second place and Rocky Mountain for third place. WICT Chapter Mentoring Excellence for chapter achievements in substance and implementation of an impactful WICT mentoring program was presented to WICT Florida for first place, New York for second place and Washington DC/Baltimore for third place. WICT Community Service Award, awarded to two chapters that have demonstrated an outstanding commitment to giving back to their local communities, was presented to WICT New York and Virginia. Inspire and Others Will Follow Award, which honors chapters who helped their members achieve their full potential by achieving 90 or more points on the 2018 WICT Model Chapter Business Plan, was presented to WICT Carolinas, Florida, Greater Ohio, Greater Philadelphia, Heartland, Midwest, New England, New York, Pacific Northwest, Rocky Mountain, Southeast, Southwest and Washington DC/Baltimore. 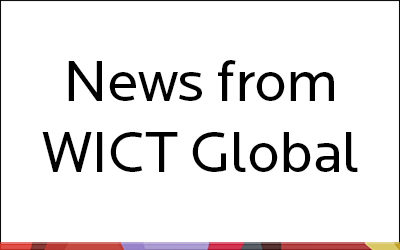 WICT also announced its 2019 Chapter Presidents and Chapter Advisors.